Pope Francis is set to celebrate the first papal Mass on the Arabian peninsula next week during his Feb. 3-5 visit to Abu Dhabi, capital of the United Arab Emirates. Benedict XVI called for the first special Synod of Bishops focused on the Middle East over two weeks in October 2010. His post-synodal apostolic exhortation, Ecclesia in Medio Oriente, focused on the role of Christians living in the Middle East, predicting before the Arab Spring that many Christians would face a decision to emigrate due to the changing political situation in their countries or to remain as a witness to the faith. Benedict XVI also added Arabic as one of the official languages in his weekly General Audience addresses in St. Peter’s Square. His final papal trip was to Lebanon in 2012, the first papal trip to the region following the outbreak of the Arab Spring. Pope Francis’ trip to the United Arab Emirates Feb. 3-5 will be the first papal trip to the Arabian peninsula. 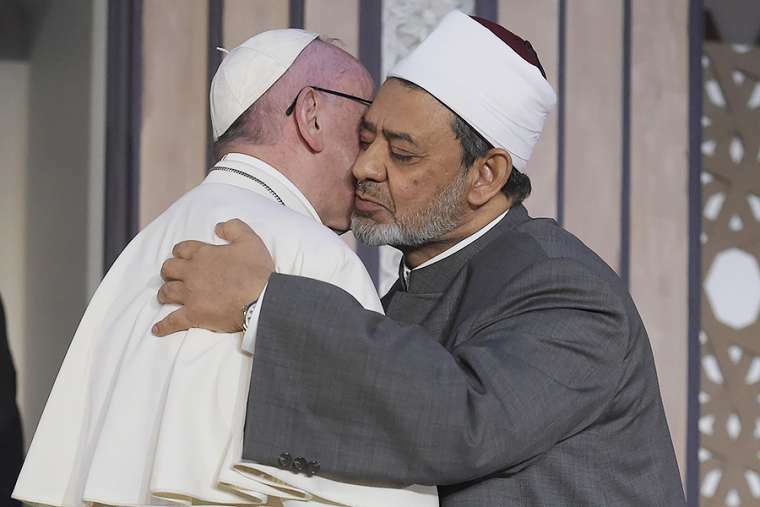 The focus of the pope’s two-day visit will be interreligious dialogue, particularly with Islam. However, the papal Mass will also make history as the first public outdoor Mass on the peninsula, where each country has restrictions on the freedom of worship. Pope Francis said that he hopes his trip to Abu Dhabi will be “a new page in the history of the relations between the religions” in the region. During the journey Francis will meet the Great Imam of al-Azhar for the fifth time and will also visit the great mosque of Abu Dhabi. The UAE trip continues Pope Francis’ emphasis on a culture of encounter and interreligious dialogue. Pope Francis previously visited Egypt in 2017 and plans also to visit Morocco March 30-31. The Middle Eastern countries of Iraq, Saudi Arabia, Yemen, Oman, Kuwait, Qatar, and Bahrain have yet to receive a papal visit. On the way to World Youth Day in January, Pope Francis expressed his desire to visit Iraq, but noted that the local bishops have made it clear the country is not yet secure enough for a papal visit. In Bahrain, construction is underway for the biggest Catholic cathedral in the region, due to be completed in January 2021. The mother church of the Vicariate Apostolic of Northern Arabia will be the first consecrated under the title Our Lady of Arabia. Previous PostAre Bad Catholics Still Catholics?